My Bread Baking Day(s) & Homemade Hot Chocolate…. So yeah, I’m turning 21 believe it or not. Most of my friends incredulously react to the fact that I’m going to be 21 because they think I’m older by the way I behave. I’ve accepted the fact that I behave years beyond my age ever since I was a child – never been taught to act that way, but I guess it’s the way my parents reared me and how I react to society in general. Anyways, forget what I was talking about age and socio-psychological stuff; let’s talk about food or bread at least. As I mentioned earlier, I baked bread. I’m a huge fan of Rose Levy Beranbaum’s book, The Bread Bible. 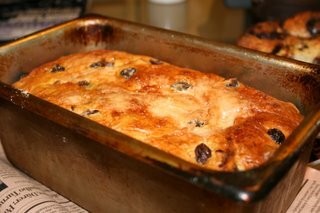 The recipe I often refer to and bake for every holiday (for the past 3 years) for my family from her book is the Cinnamon Raisin Loaf. The other recipe I baked is from the Smitten Kitchen’s Orange Chocolate Bread recipe from her bread baking class at ICE. I made Rose’s bread recipe my own by replacing the cinnamon with a chocolate paste (Valhrona cocoa powder, granulated sugar, orange extract, and butter) for one loaf and the other is just plain ol’ raisin and also replaced some of the water needed in the dough with a couple of tablespoons of orange flower water. 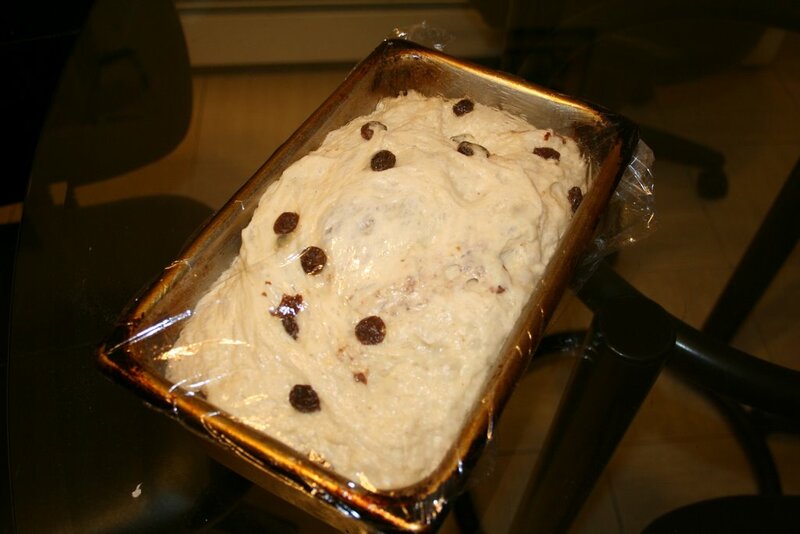 When it came to the chocolate bread recipe, it’s really unusual and appealing to me because 1) I love chocolate and 2) it’s bread; not quick bread and it’s not cake. In all, it’s a good experiment for me try. So, after reading through both recipes, I have almost all of the ingredients but the cocoa powder. Yeah, it’s hard to believe that a chocolate lover would not have cocoa powder in her own house but I live in a mostly non-chocolate loving home. See the problem? 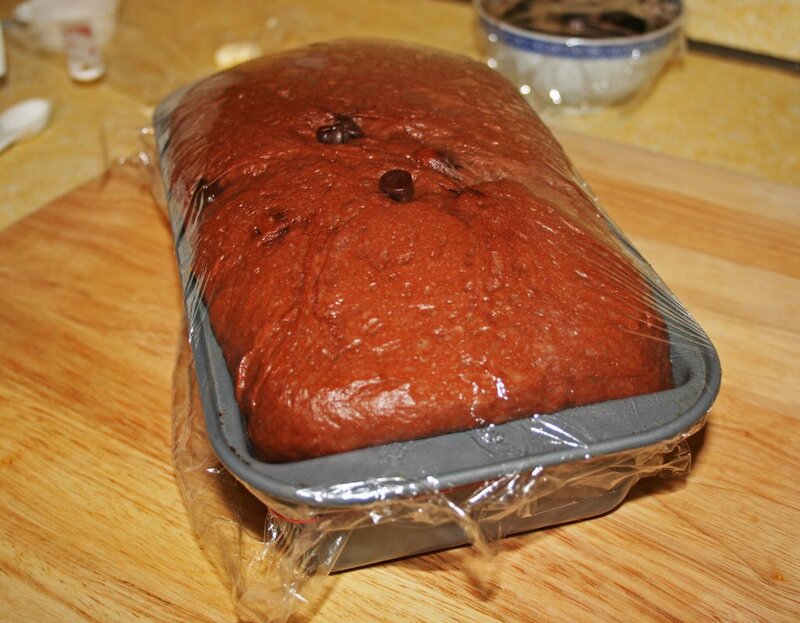 Oh, I should mention, when I told my parents that I’m planning to bake the chocolate bread, they were skeptical. They said, “Chocolate bread?! I never tried or heard of it before.” Hence, my parents haven’t exactly reached the foodie stage yet…probably if they ever want to go to Manhattan, I’ll take them to Amy’s Bread and introduce to them the chocolate cherry bread. On Thursday morning, I ventured out to the Upper West Side to do two things: 1) Eat breakfast at a great bakery (that I’ll write about next week). 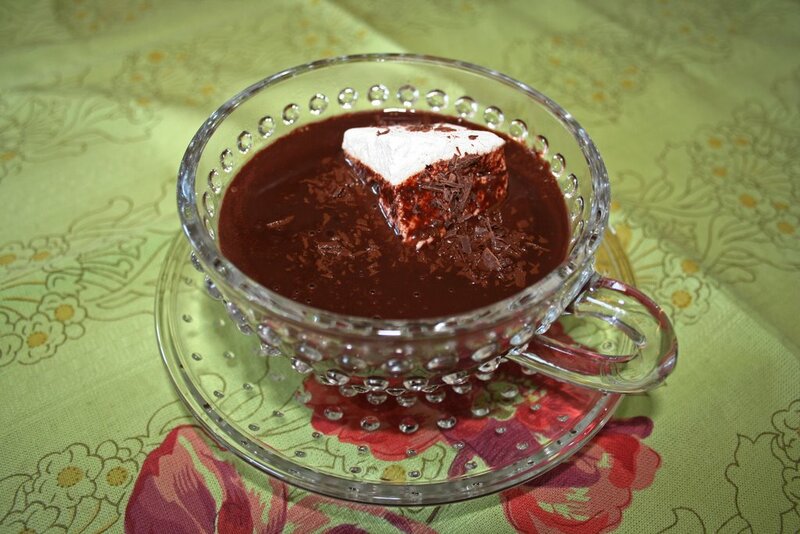 I need to do more research (read: eat more of their breads and pastries) and 2) Go to either Zabar’s or Fairway for some cocoa powder – Valhrona that is. Eventually, I bought it from Fairway; it’s cheaper (paid for $8.99 for 8.8 oz) and also I bought a small chunk of Callebaut bittersweet chocolate (a little more than $2; I forgotten how much it cost per pound) for my homemade lavender hot chocolate (more on that later). 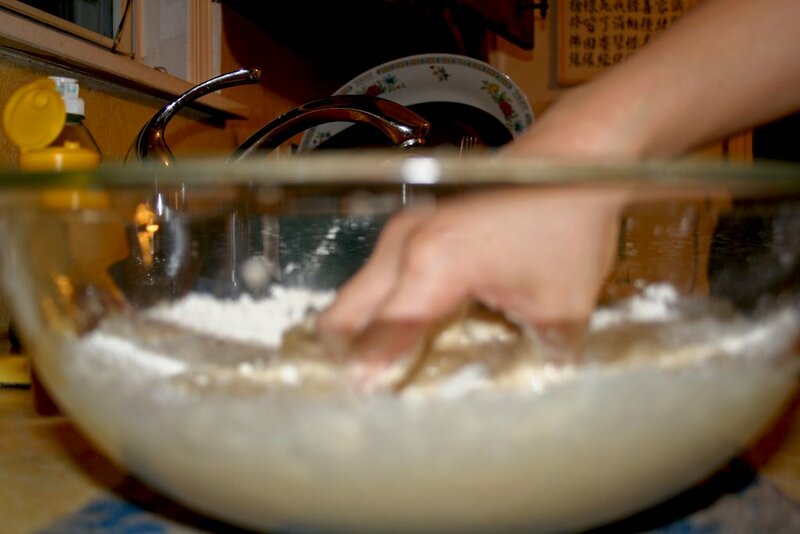 Mixing of the raisin bread base. 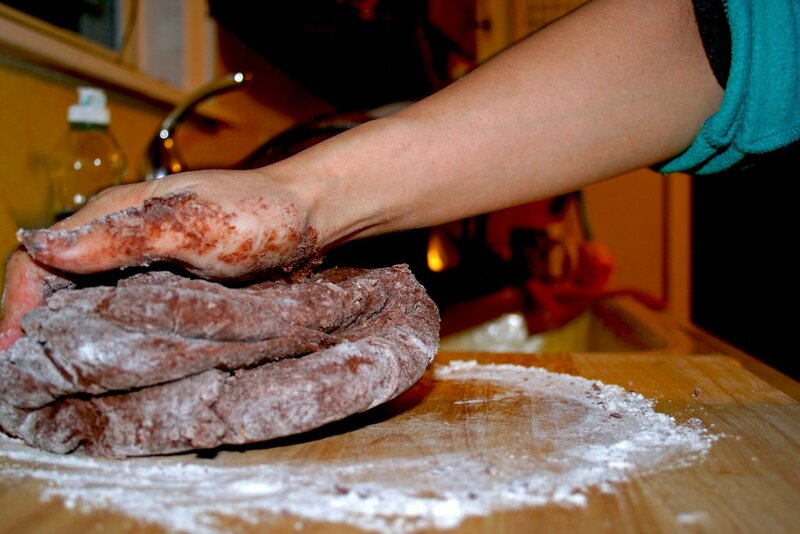 The kneading of the orange chocolate bread. Post proofings of the chocolate bread. Post proofings of the regular raisin bread. 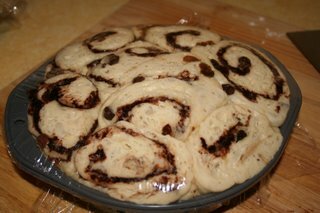 Post proofings of the chocolate swirled raisin bread. If you want to see the entire process (almost all) of how I mixed and kneaded and whatnot to both doughs, you may see (temporarily; I’m using a trial for now, ending on 11/17) the photo album I created for the bread making process. Or you may View the album at Fotki after that time. Woe to my lack of sleep (like I don’t anyways, because of college? ), I got up at 5:30 AM and start cranking up the oven (preheating) and made coffee for my dad and I, and tea for my mom. Even though I’m half awake, the bread came out beautifully. By the time my first loaf came out, the chocolate swirled raisin bread, my mom shouted to my dad to get out of bed and eat breakfast – all the bread loaves. Chocolate swirled raisin bread: It’s very soft and tender crumb, sweet but not overly sweet, the chocolate paste (or swirl) has the great dark, complex chocolate flavor that is the characteristic of Valhrona chocolate and the orange extract that I added into the paste gave it some bright, citrusy flavor. 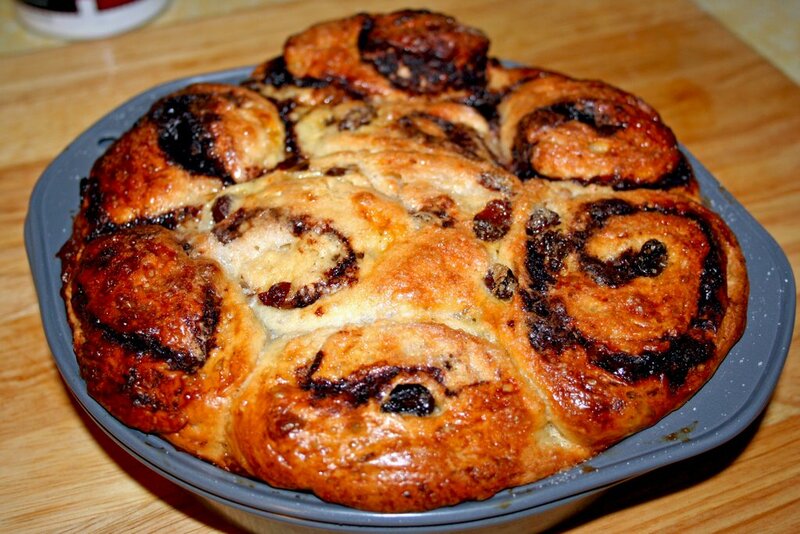 The raisin bread: same characteristics as the chocolate swirled but without the chocolate. But I forgot to mention that I also changed the original recipe by adding orange flower water, so it exuded a delicate, fragrant orange-y floral scent. Wonderful to smell. The problem with baking all of these delicious loaves, is that my family and I have to finish them within a day or two (the max). Basically, I’m stuffing my face with bread today for two meals. Not that it tastes bad but my stomach can’t handle that much bread. Pretty much I ate about a half a pound of bread today. I wish my younger brother was here to help out. Unfortunately, he’s upstate in college. Damn and it’s too expensive to do overnight express to ship it out to him. 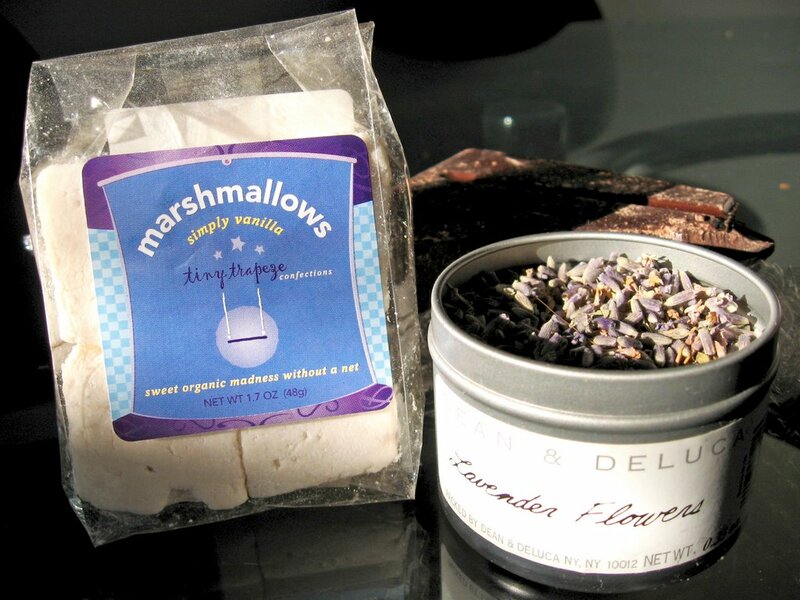 As I said before, I bought Callebaut chocolate also a few organic marshmallows from Whole Foods for my lavender hot chocolate. The dried lavender was bought almost a year ago for my lavender shortbread cookies for my Christmas cookie baking/gift-giving. Most of my ingredients for the lavender hot chocolate. 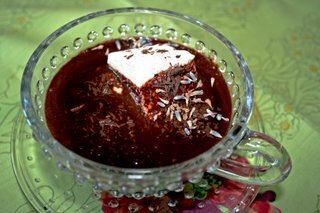 It’s partly inspired from Vosges Haut Chocolat’s Bianca Hot Chocolate but it’s just dark, bittersweet chocolate instead of white chocolate; also without the citrus flavors that’s originally there. I don’t really love white chocolate because it’s not real chocolate and I usually find it too sweet for my palate. I just like to decorate cakes with white chocolate. 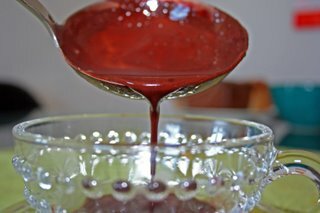 I don’t have a real recipe of sorts, it’s basically a mixture of the Valhrona unsweetened cocoa powder, a little bit of granulated sugar, whole milk, a tiny bit of dried lavender flowers, water, and some of the bittersweet Callebaut chocolate I bought from Fairway, grated. I basically infused the lavender flavor by simmering it in a small saucepan of milk for 5 minutes. Turn it off, strain out the flowers and set it aside. 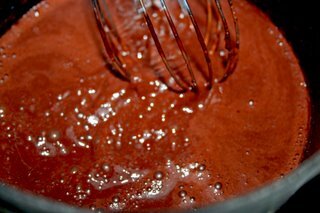 Get all the chocolates and sugar prepared, dump all of the dry ingredients together with the milk in the same saucepan and heat it up until all of the sugar and chocolate is dissolved. As you can see in the photos, it’s pretty darn dark and thick. It has a faint but distinct flavor of lavender with the dark, rich chocolate flavor. Put in a marshmallow into a cup of hot chocolate…I’m in heaven. Whisking away my hot chocolate to smoothness. 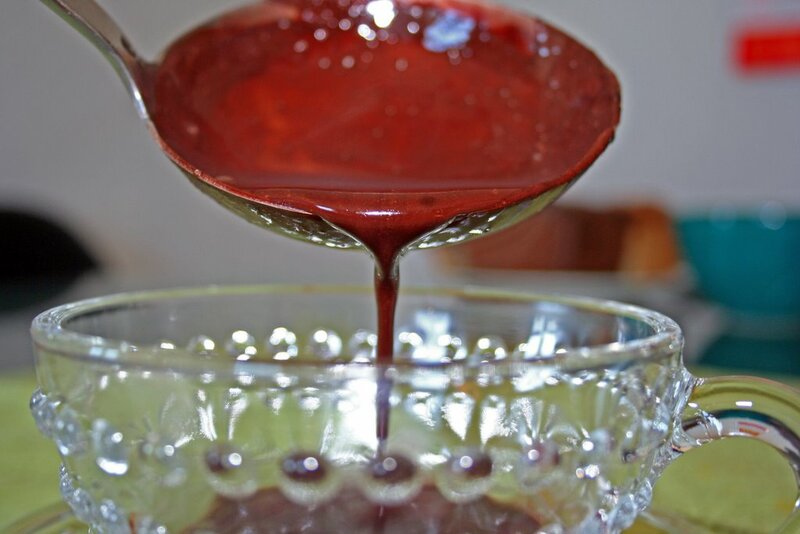 Ladle and pour…into my artfully interesting glass cup. 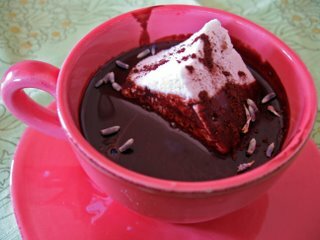 Hot chocolate in a pink demitasse cup with marshmallow, lavender flowers and a dusting of cocoa powder. Or you may click here if the above link expired. I might go to a bakery or try a slice of Michel Cluziel’s chocolate cake. I don’t want to bake a cake because it’s well, it’s a bit boring to me and I like baking bread a lot more to understand the philosophy of patience and putting love into the bread (not like I don’t do it for all of my cooking and baking). I just feel more relaxed baking bread. Chocolate is just my outlet to sublime bliss. Probably the day of my birthday, I’ll just go to a wine bar or a restaurant and get a glass of wine or maybe a cocktail. Hey, I’m finally legal; it’s just that I’m not the loud, rowdy, party type of person. wanna be my own personal caterer?? Hmm…to be your caterer is very tempting. I’m more of a baker than a cook, you know?